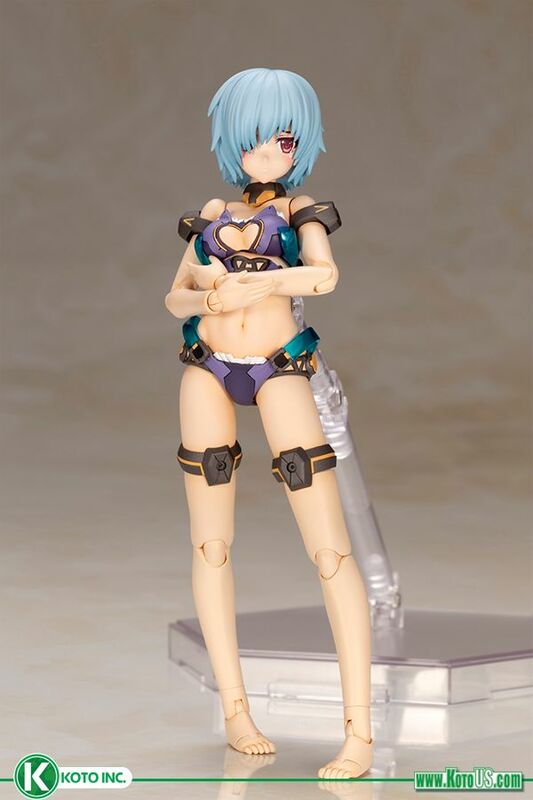 Based on the Frame Arms model designed by Tomotake Kinoshita with character art created by E-ji Komatsu, Frame Arms Girl HRESVELGR is now available with new Bikini Armor! 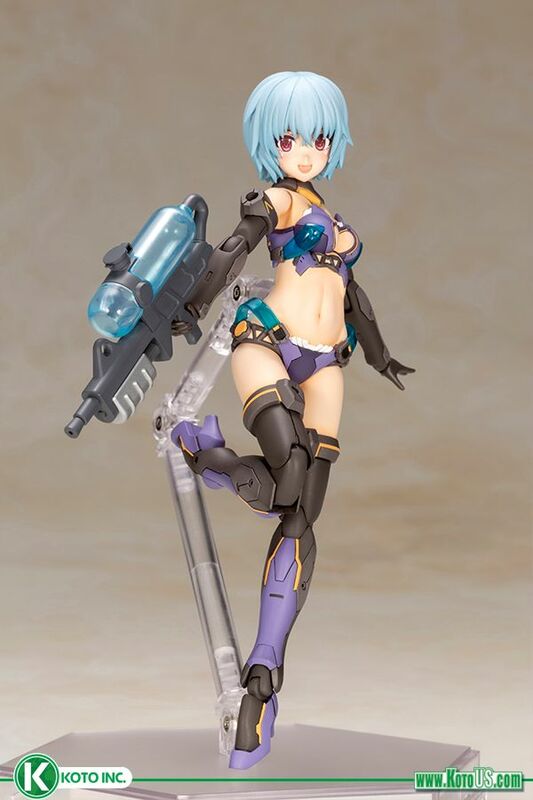 Komatsu E-ji's Bikini Armor design is now a Frame Arms Girl model kit! 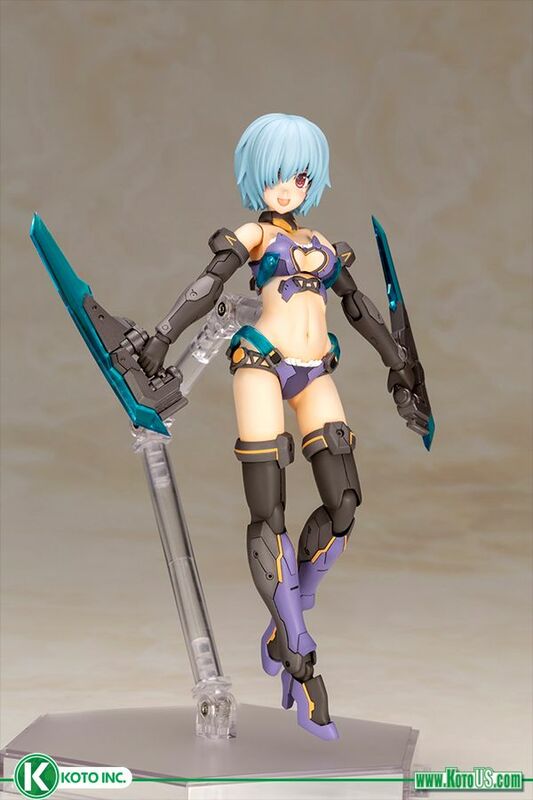 Two armament blades are included. 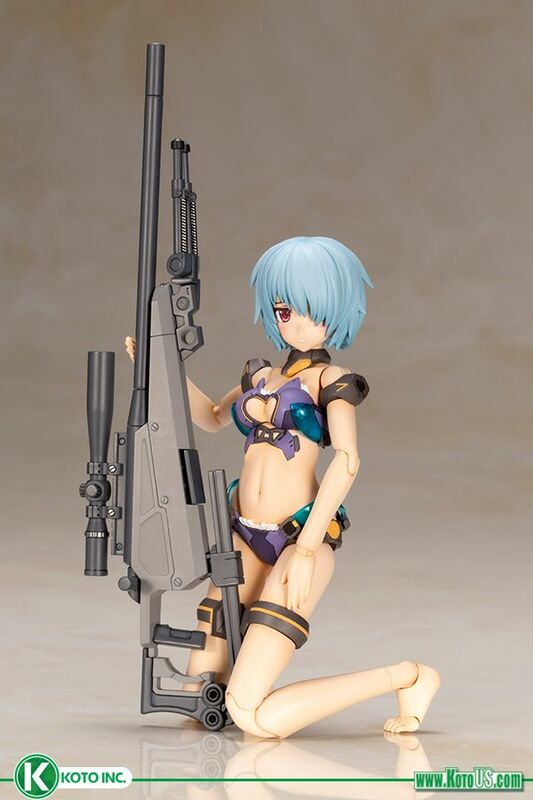 This model kit comes with three hair types: standard hair, right eye hidden, left eye hidden.